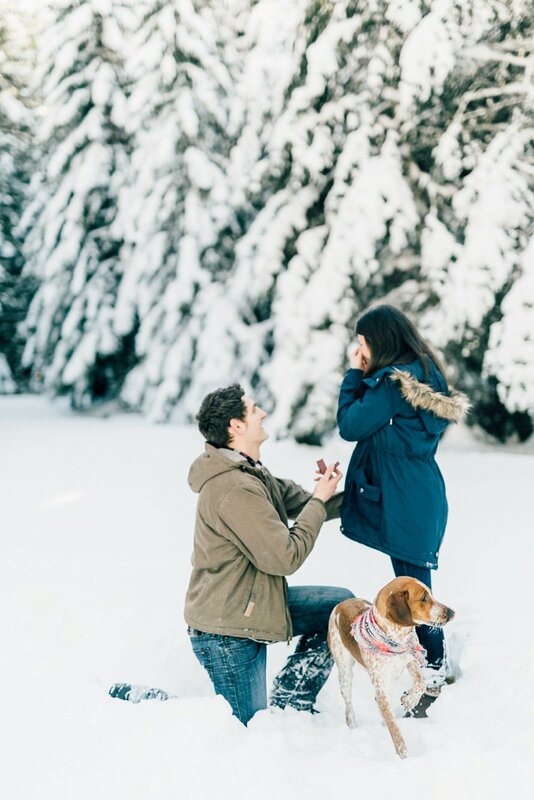 When Grant shared his plans to propose to Resa, I knew it wouldn't be long until he did & was so excited to be in on the secret! 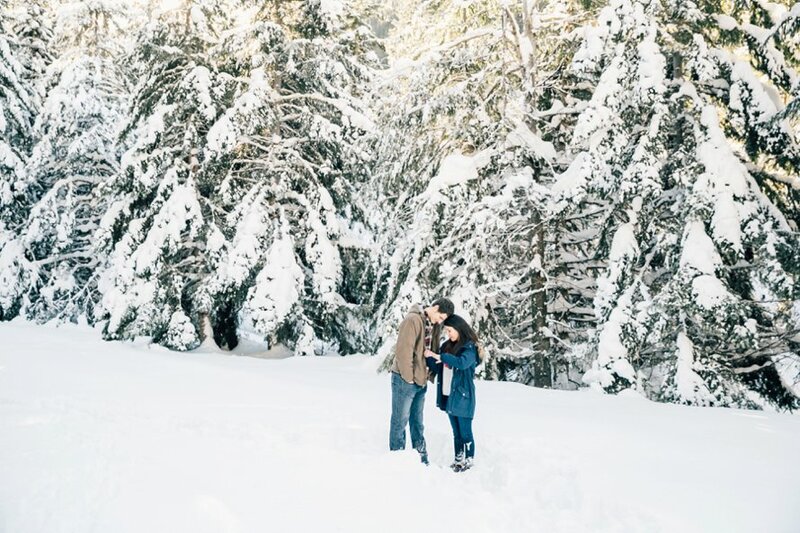 Sharing in such moments with clients as sweet as these is one of the best parts about this job that I love. 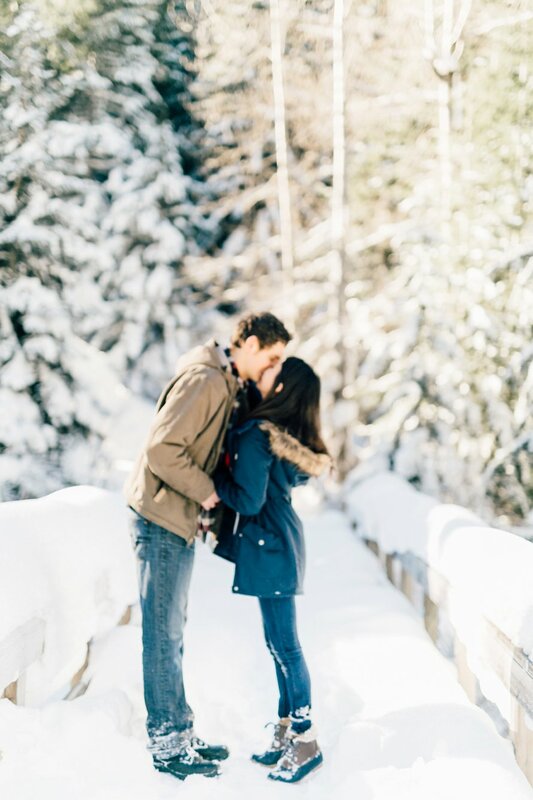 We started the session just like any other, full of long embraces, laughter and kisses. 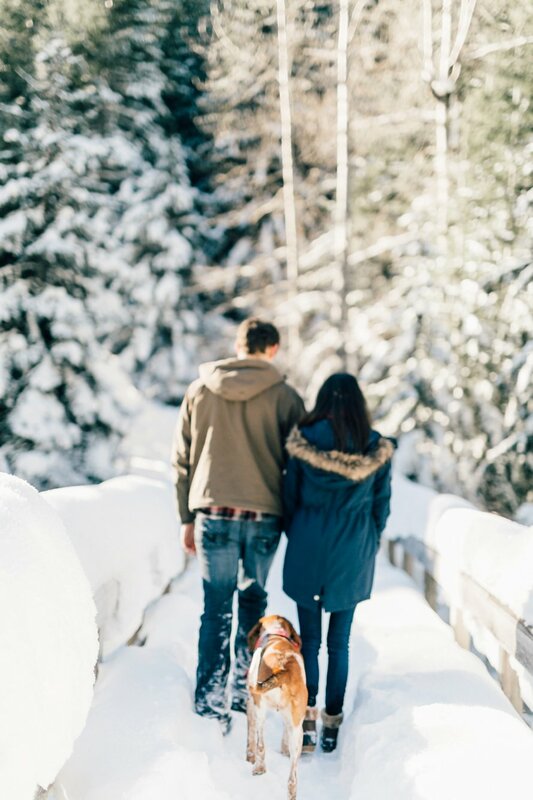 Then we hiked through the snow to find the most serene spot. 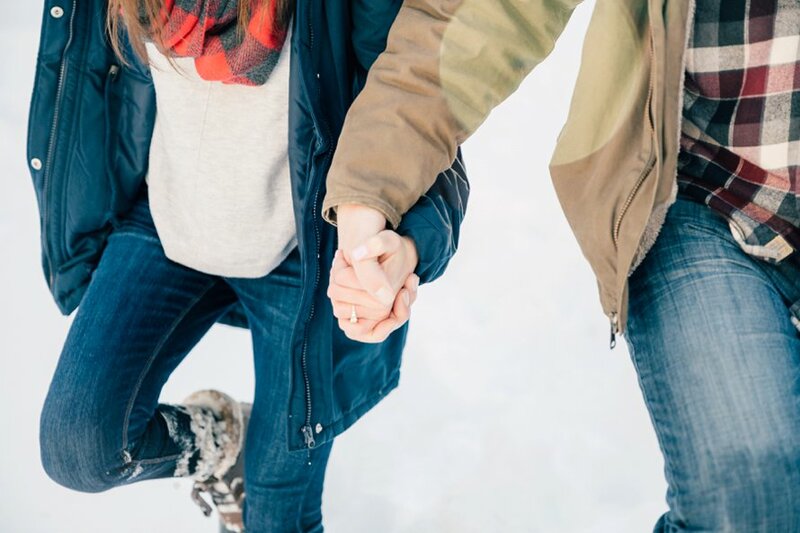 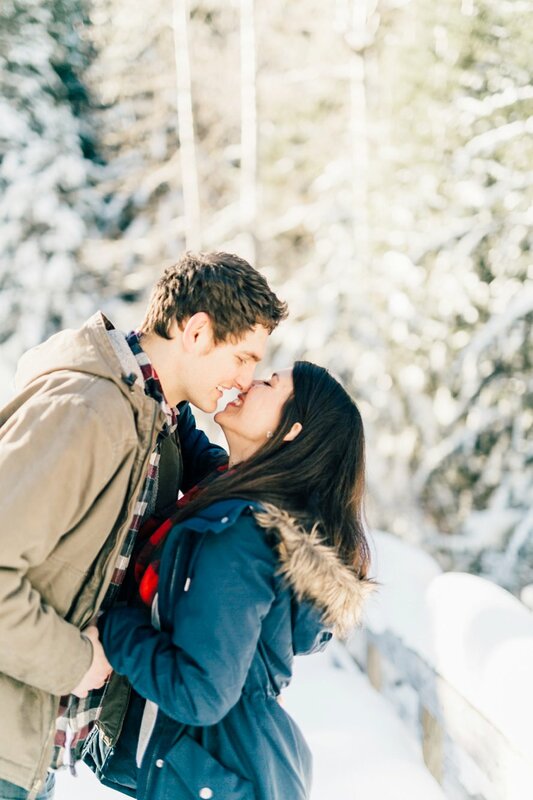 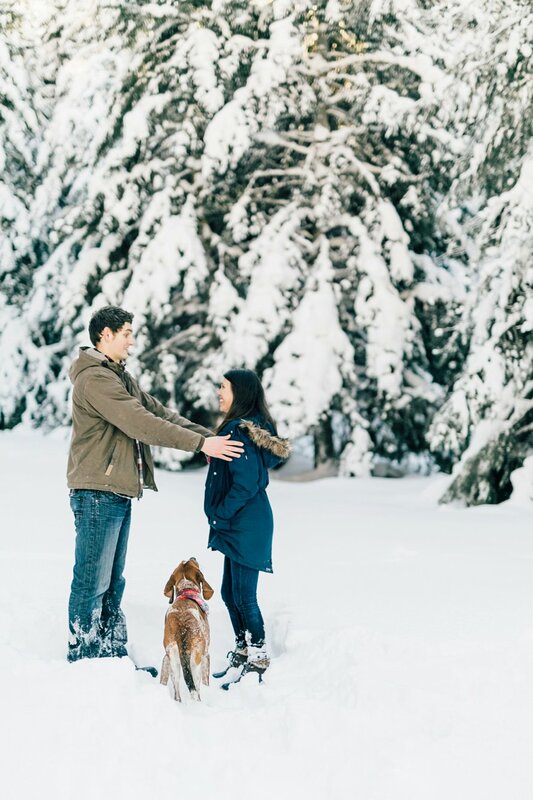 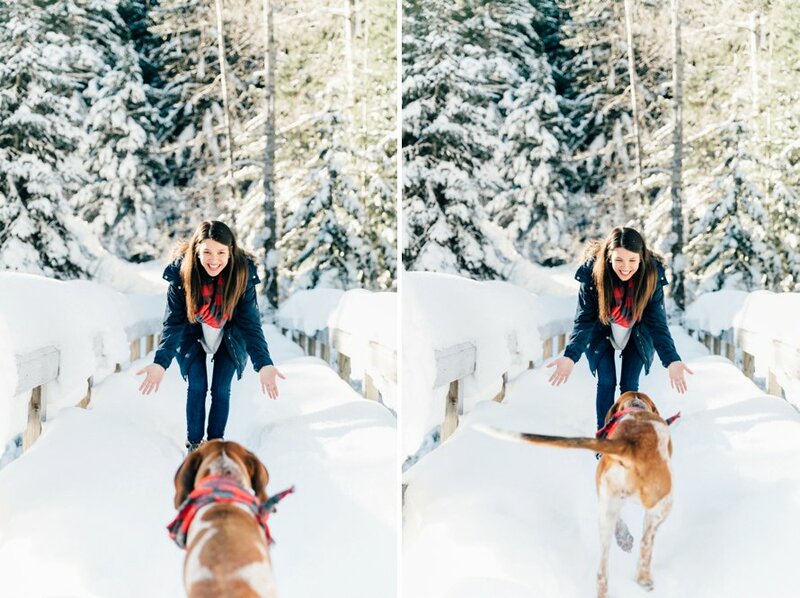 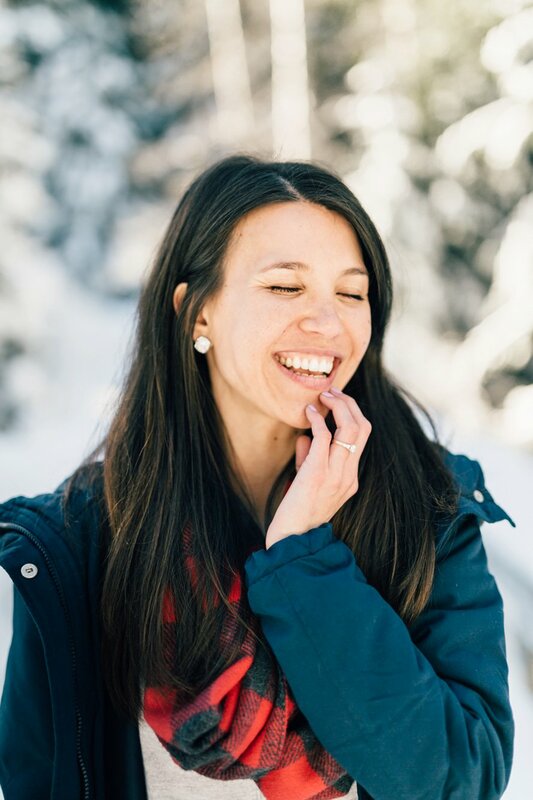 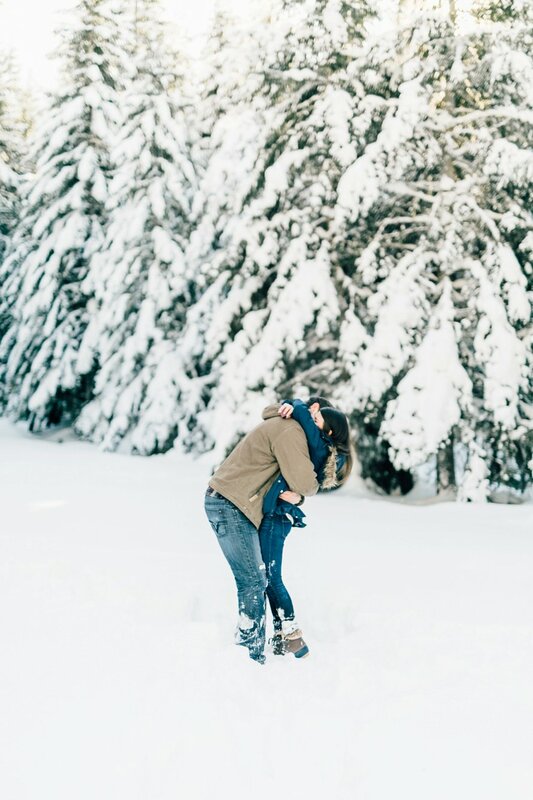 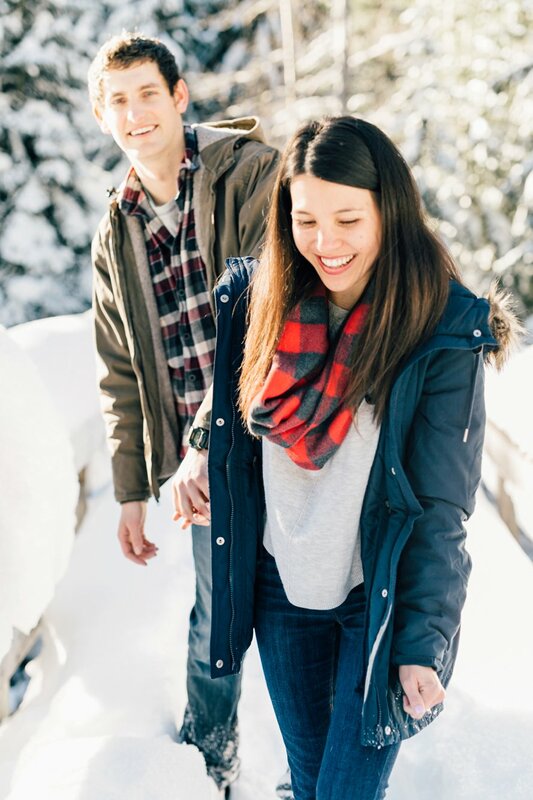 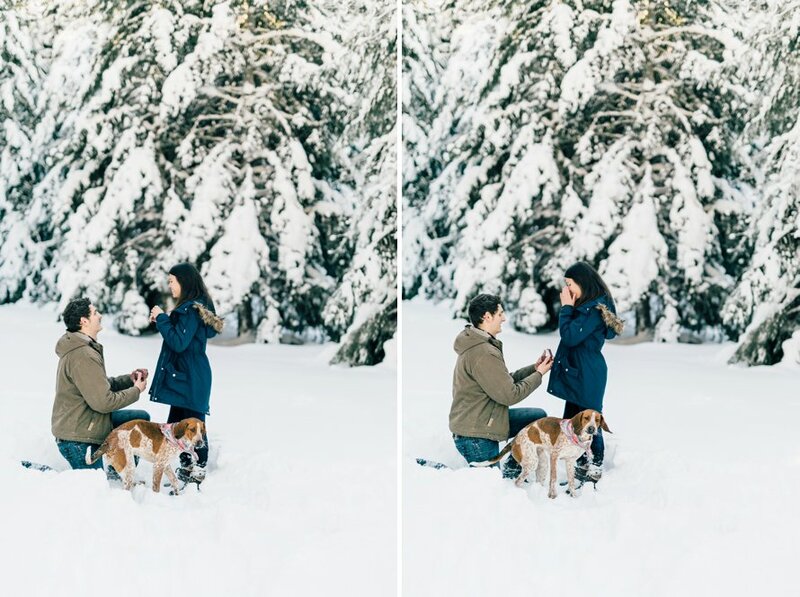 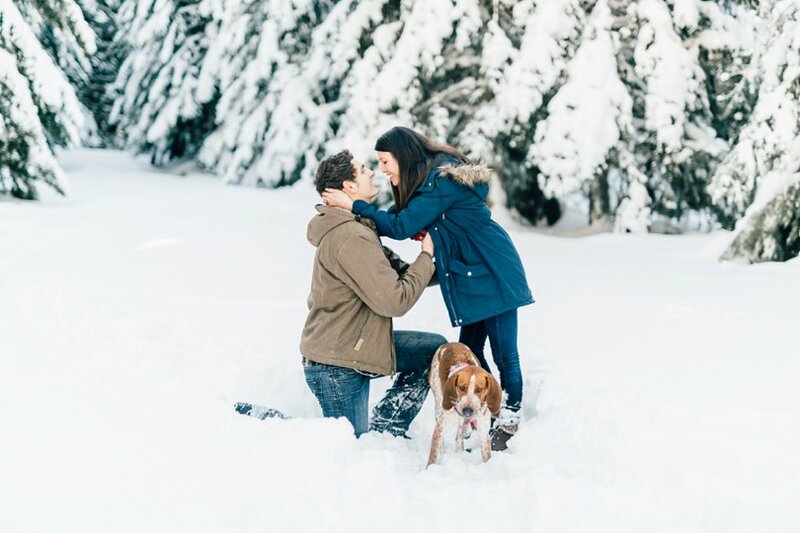 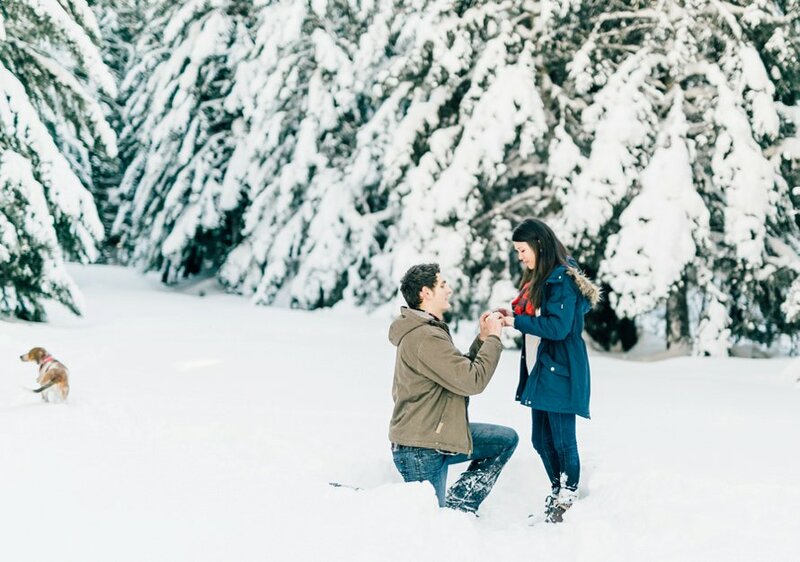 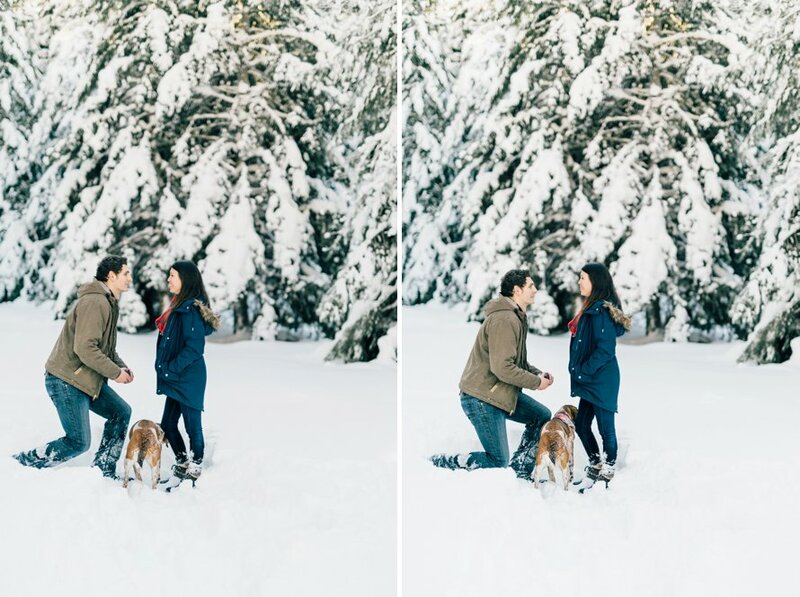 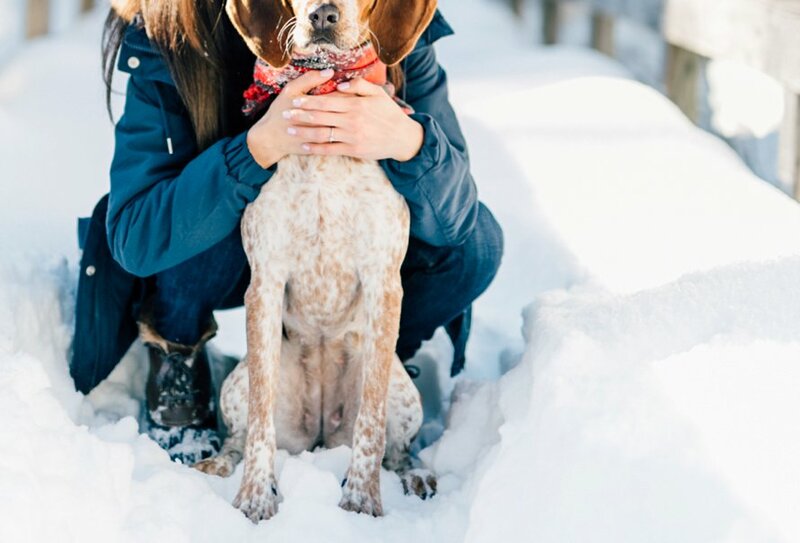 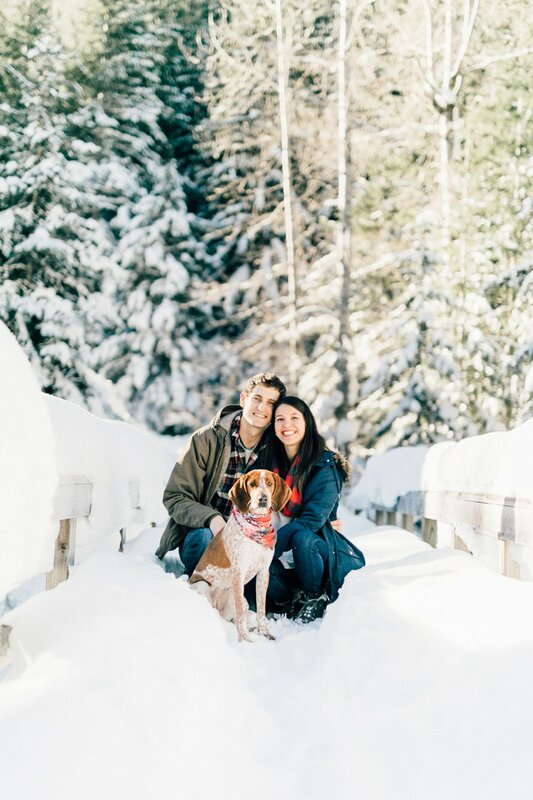 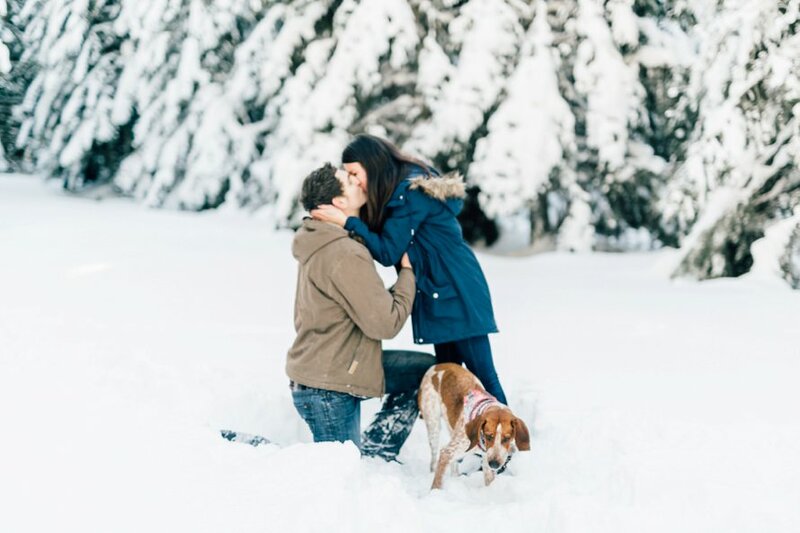 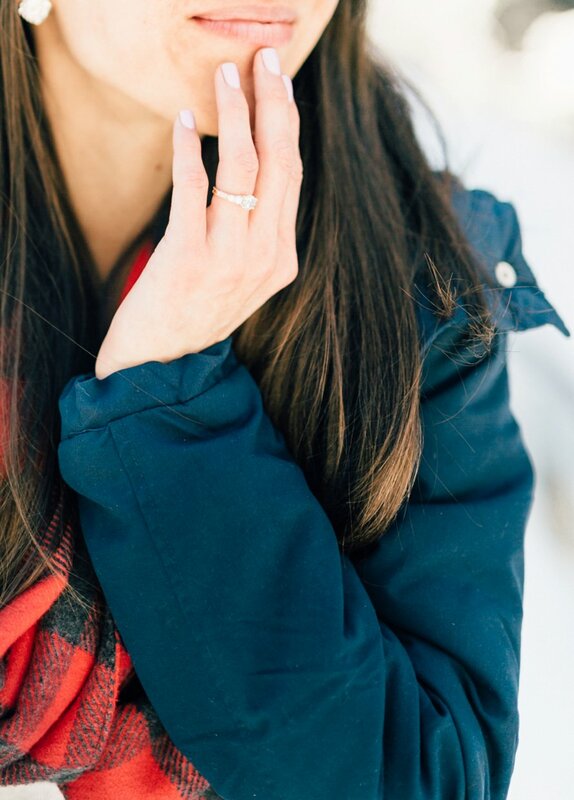 With the sun shining through evergreens & soft snowfall all around, Grant took hold of Resa and asked her to marry him -and oh, it was just like magic! 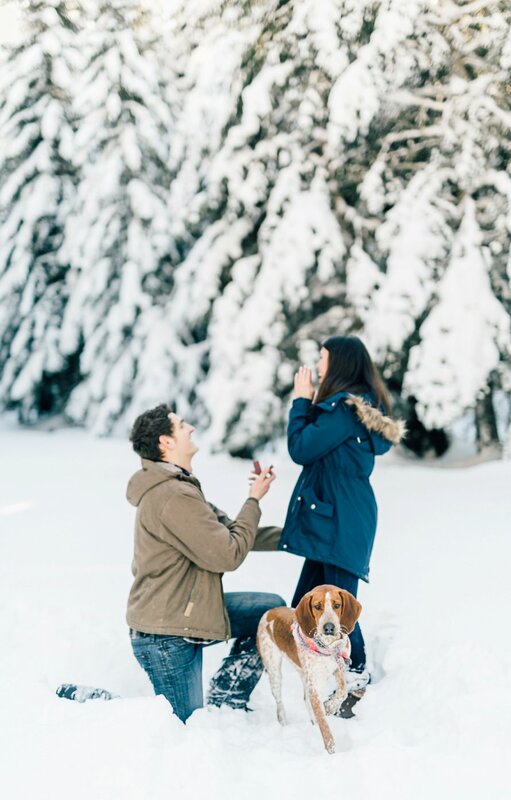 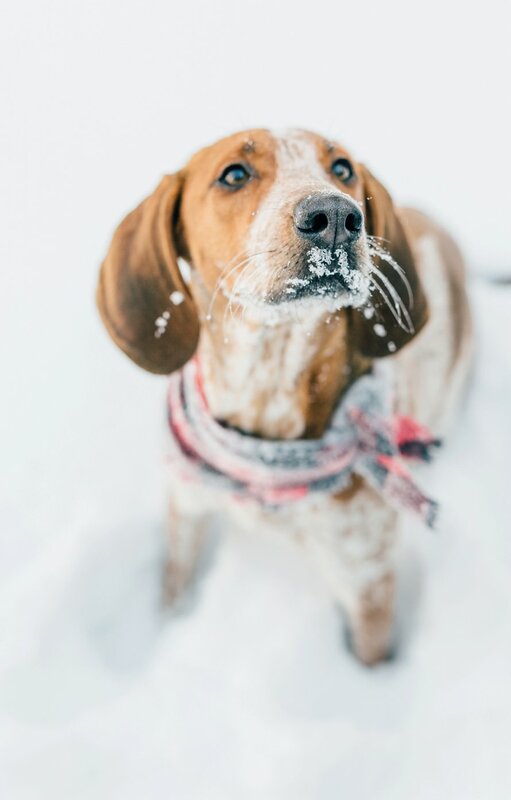 A favorite part was how their cute coonhound, Delilah, was at their side for it all!